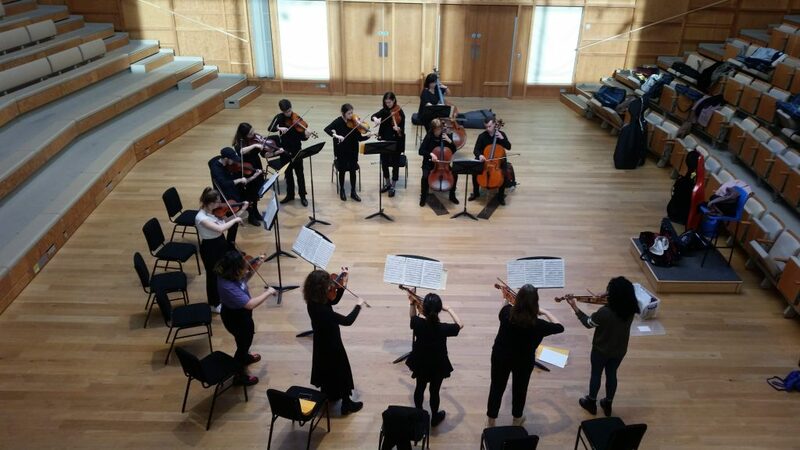 String Sinfonia | Music Matters | Because it does. Doesn't it ? 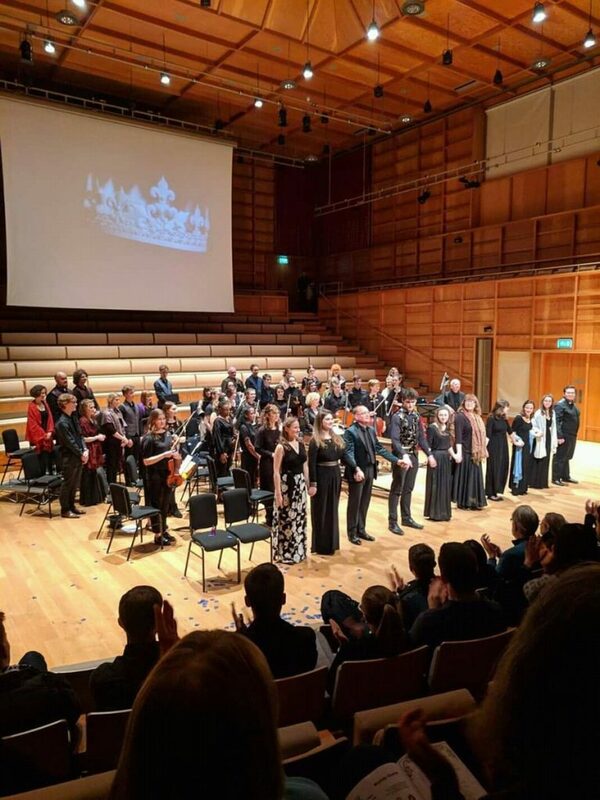 Congratulations to all the performers involved in last Friday’s performance of Dido and Aeneas. 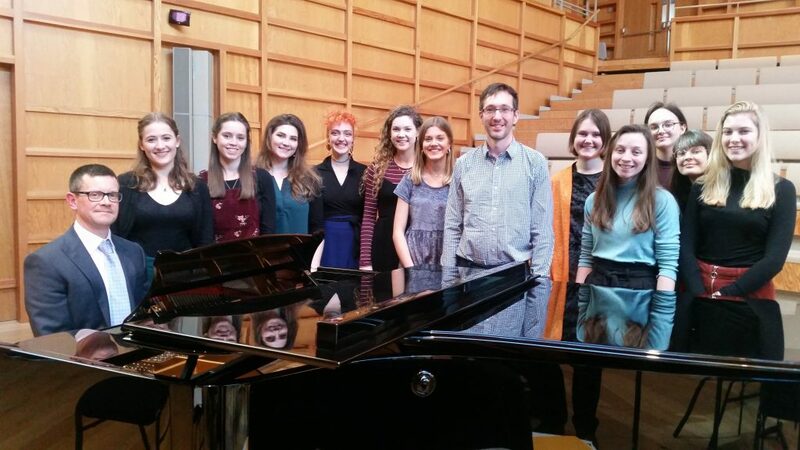 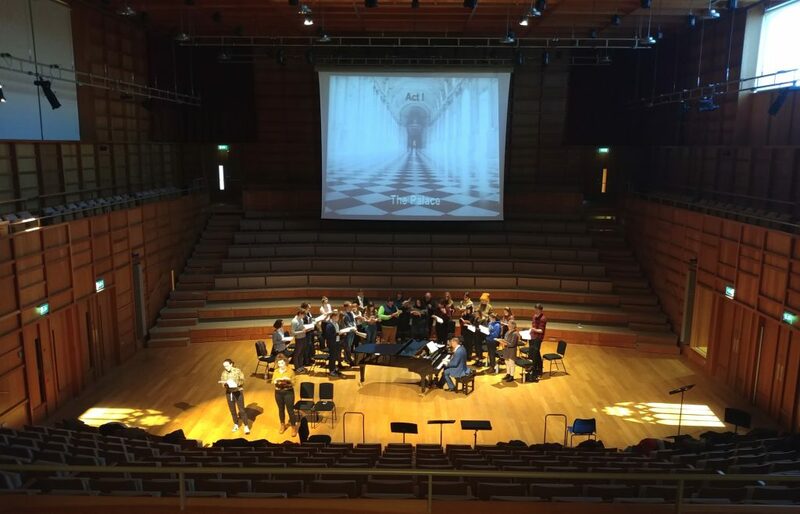 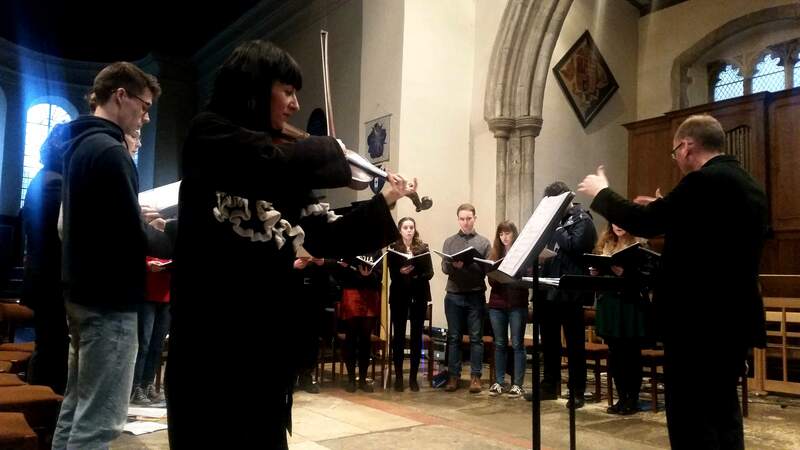 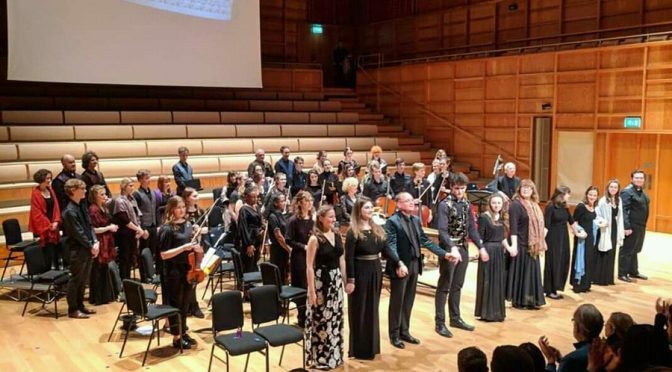 Students and staff in the University Cecilian Choir and String Sinfonia were joined by some of the Music Performance Scholarship singers in a production of Purcell’s timeless story of love and loss, conducted by Your Loyal Correspondent. 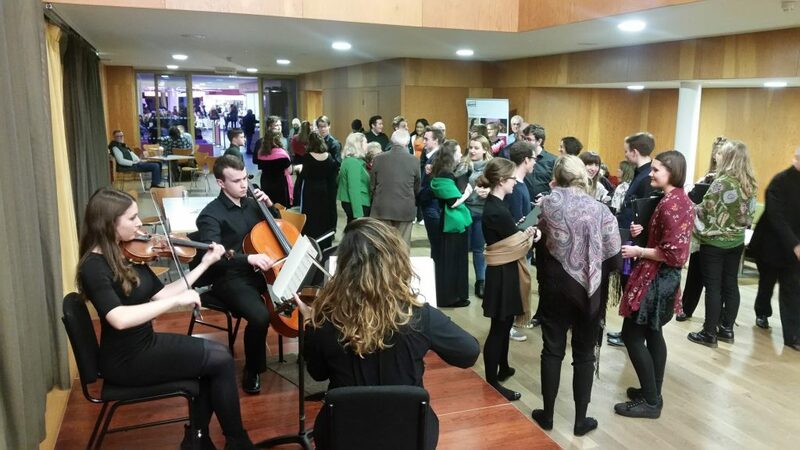 Costumed courtiers promenading the foyer greeted audience members arriving for the performance, whilst a string trio performed trio sonatas on the foyer-stage. 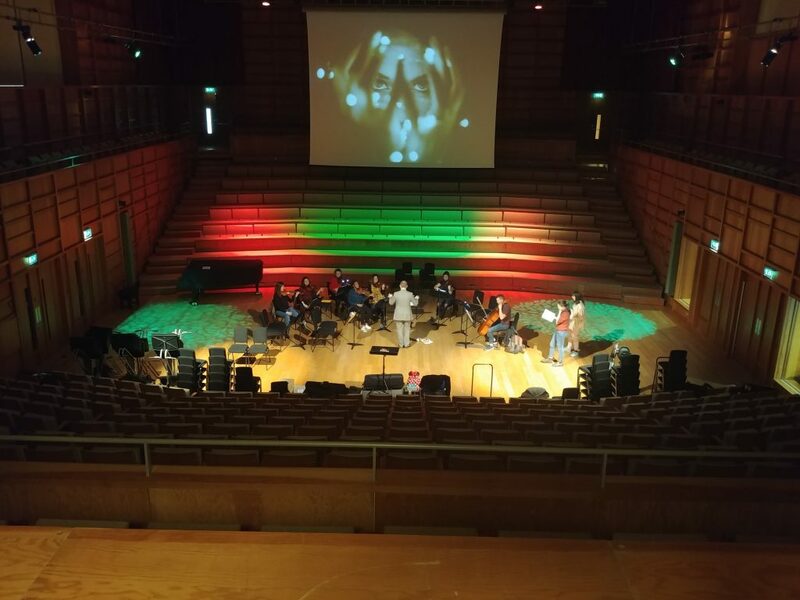 Below are some of the photos from the dress rehearsal that afternoon. 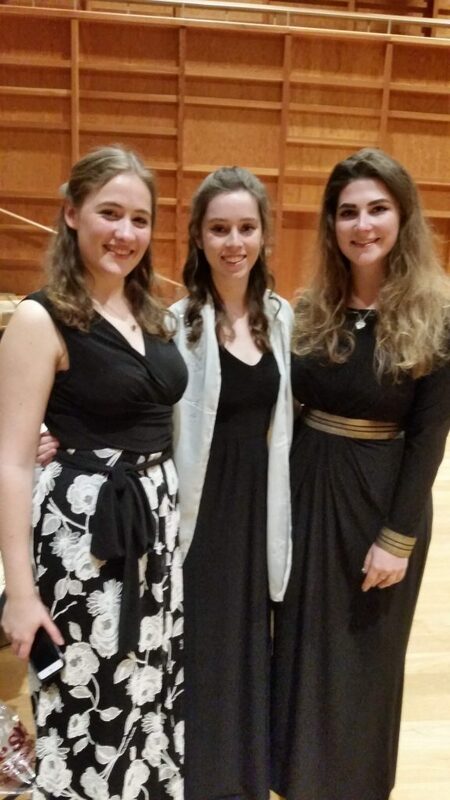 Special mention to postgraduate Law student and Music Scholar, Helen Sotillo, as the doomed Queen of Carthage, and third-year Scholar, Fleur Sumption, as Belinda, and second-year Drama student and Scholar, Carmen Mackey, as the evil Sorceress. 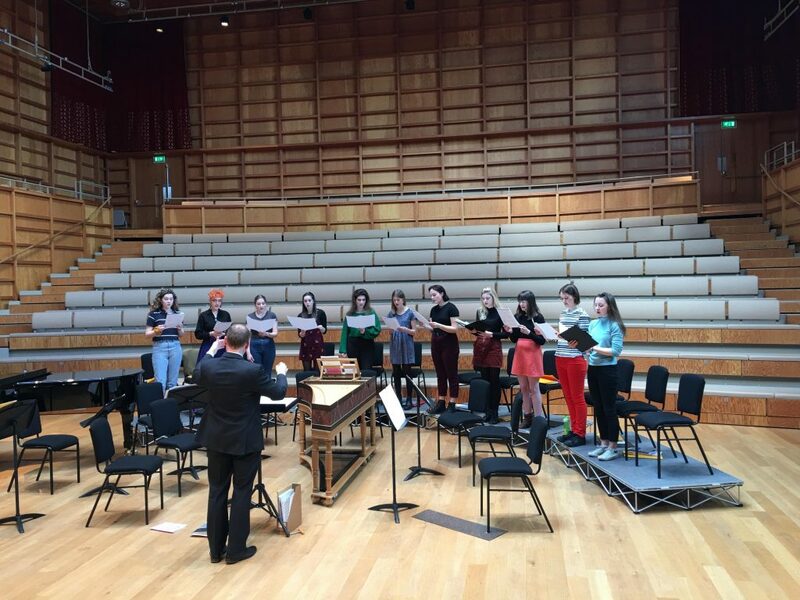 Rehearsals are well underway for the performance of Purcell’s Dido and Aeneas by the University Cecilian Choir, String Sinfonia and soloists in two weeks’ time; here are some shots from recent rehearsals, including Music Scholar, soprano Helen Sotillo, rehearsing Dido’s heart-breaking lament, the Cecilian Choir as palace courtiers in Act I, and some of the String Sinfonia rehearsing Act II. 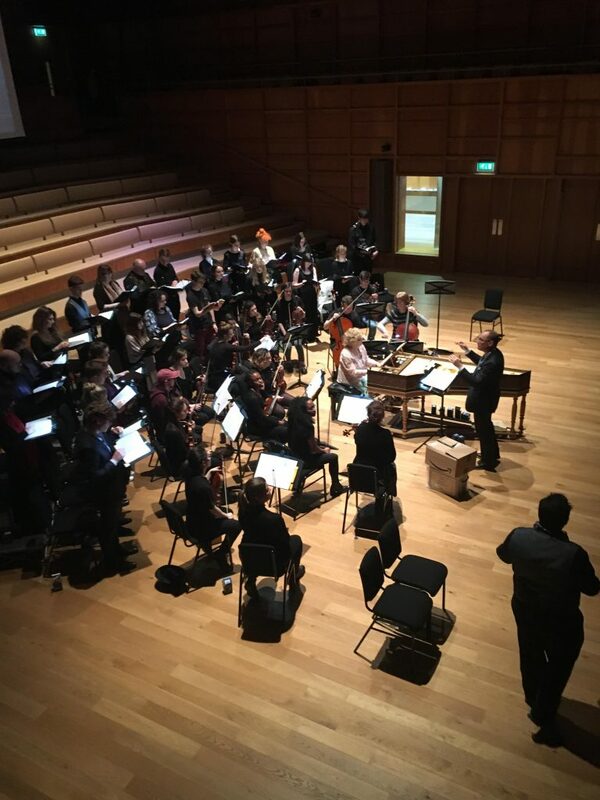 The tragic story of the doomed love of the Queen of Carthage for the Trojan prince unfurls in Colyer-Fergusson Hall on Friday 1 February at 7pm; more details online here. 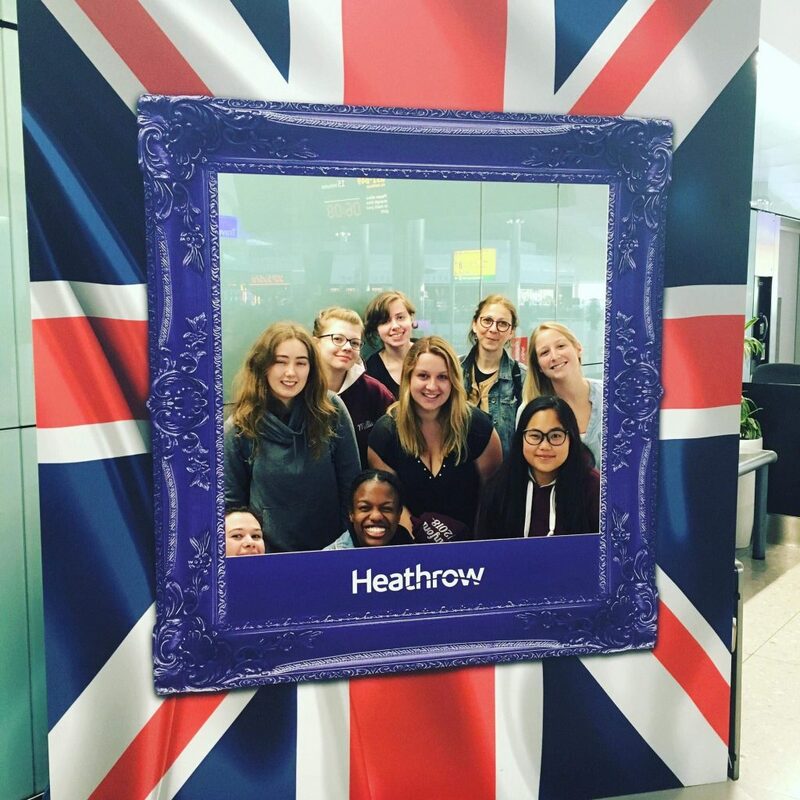 Bon voyage to the members of the University String Sinfonia, whose members left Heathrow Airport early this morning on their way to Canada. 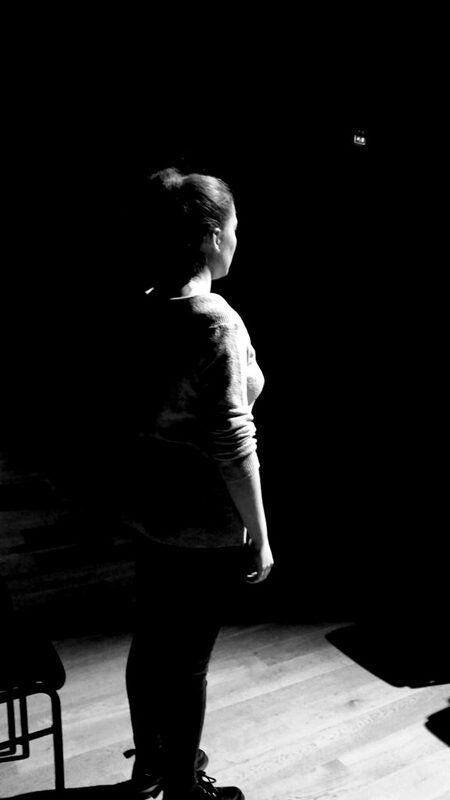 Comprising undergraduate students from across the university, including the Schools of Law, Psychology, Politics and International Relations and European and Culture and Languages, the group will be performing in a special event at the Varley Art Gallery (read more about that in a previous article here), and as part of the Chinese Artists Society of Toronoto’s annual Gala concert, alongside the CAST Philomusica and various soloists, in a packed gala programme. 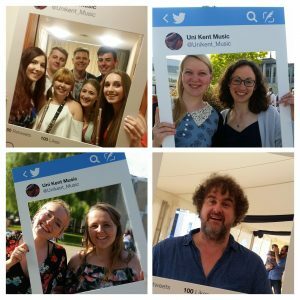 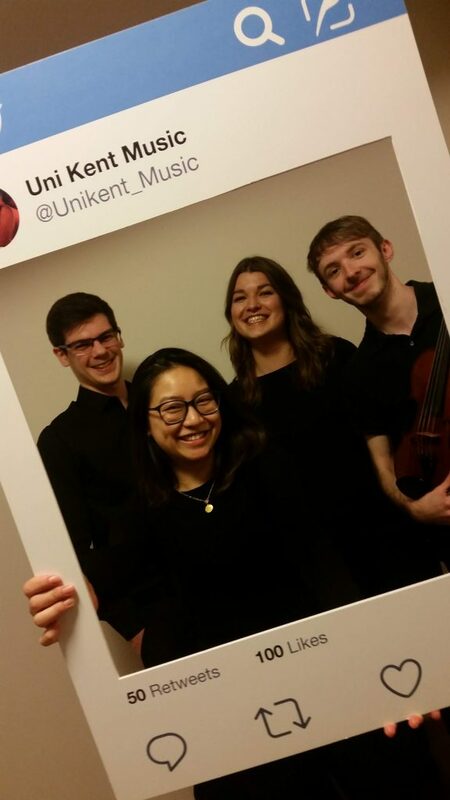 We wish them well; follow all their adventures on #sinfoniaontour on Instagram at unikent_music and on Twitter; it promises to be an exciting trip! 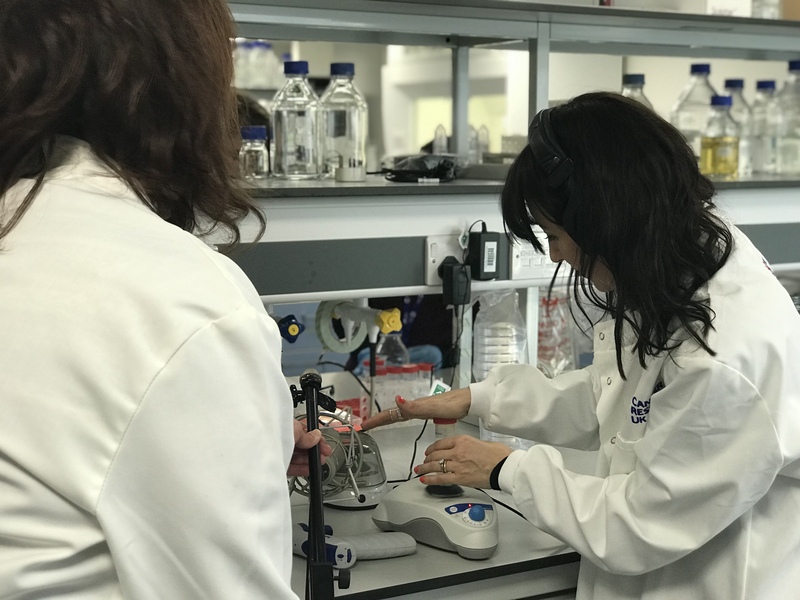 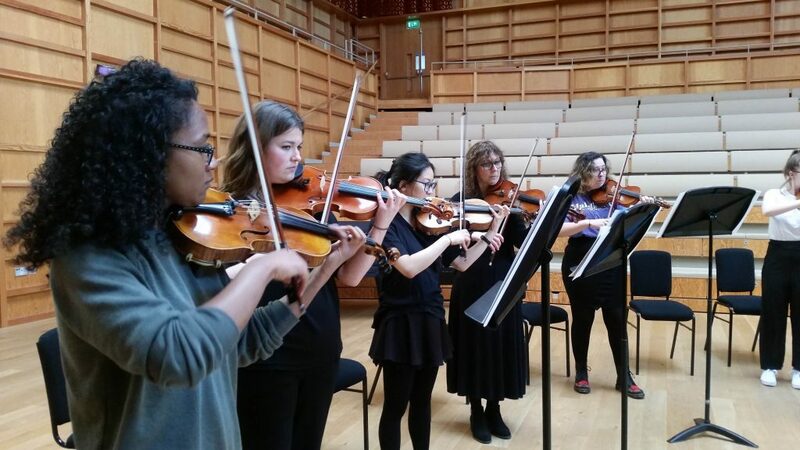 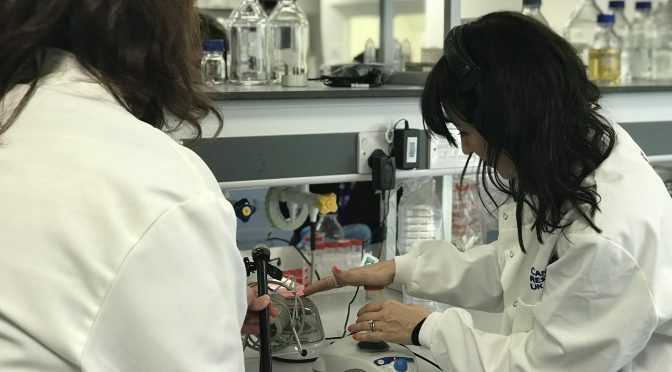 The #EarBox series of events combining live music with visual art takes on an international flavour next month, as the University of Kent String Sinfonia will perform at the Varley Art Gallery in Toronto as part of a five-day visit to Canada. 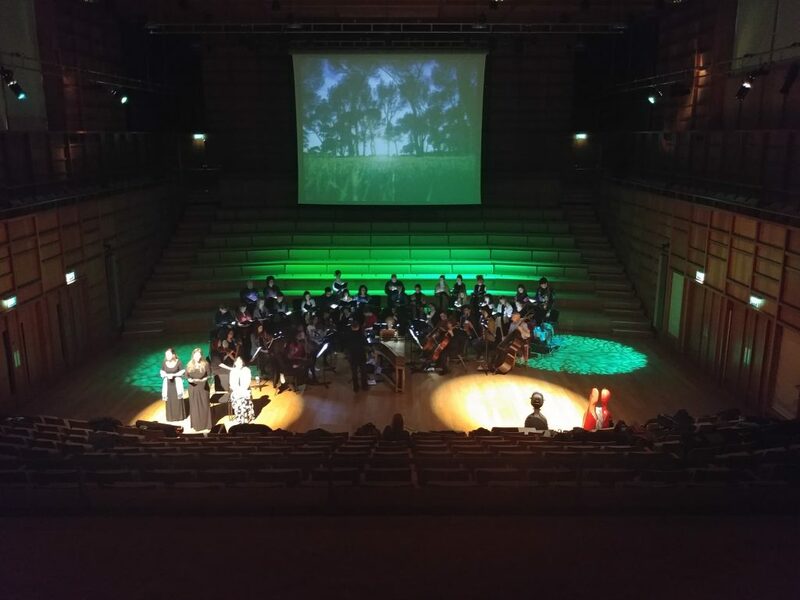 The performance on Thursday 14 June is one of two concerts in which the group will be playing, and takes place against the backdrop of the gallery’s new exhibition, which explores the physical and psychological effect of nature for humans and animals, and the intersection of human and arboreal timelines. 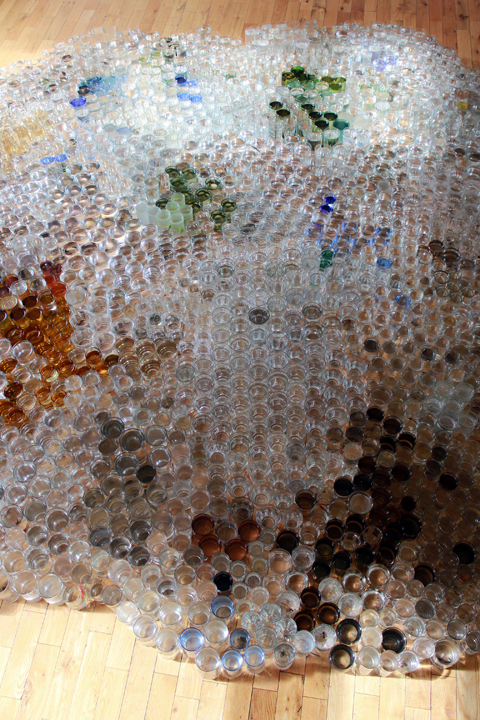 The exhibition includes two- and three-dimensional works and installations; Refuge by Karen Miranda Abel, Anna Williams’ Canada House and Mother Trees of Future Forests by Lisa Hirmer. 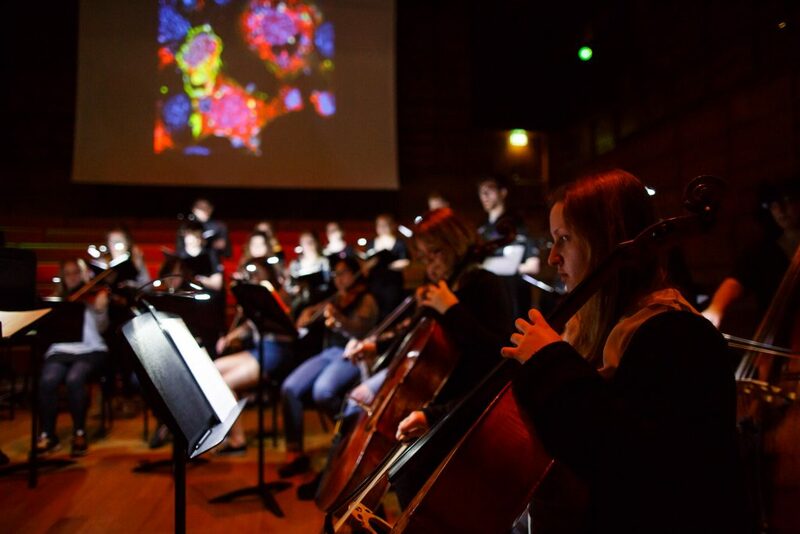 Classical Connections will illuminate the exhibition’s central themes of water, surface, liminal spaces and spatial relationships, and the passage from nature to culture with a pastorally-themed musical programme, complete with birdsong, including works by Elgar, Holst, Warlock, Dvořák and John Williams. 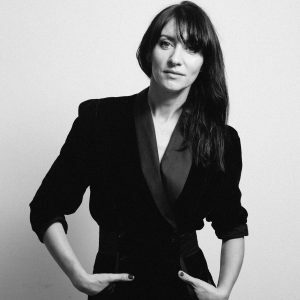 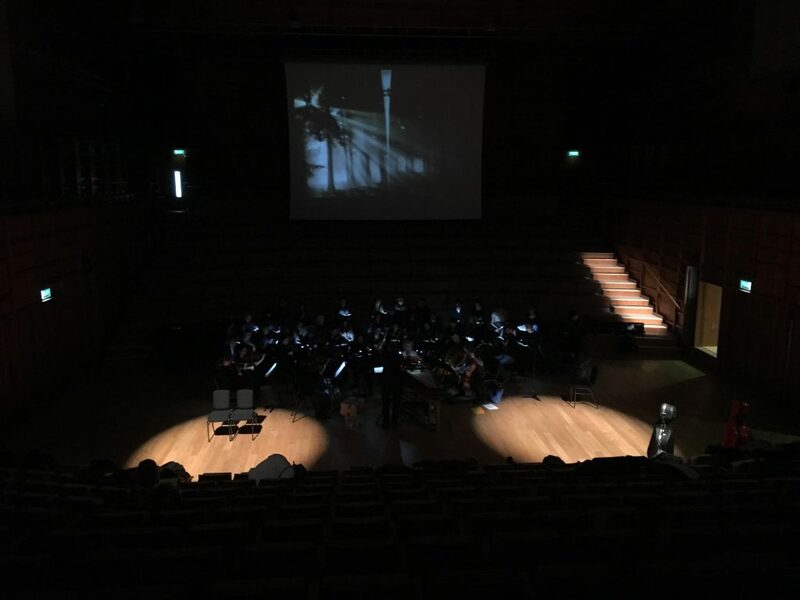 The programme, like the players, crosses continents to animate the gallery and resonate amongst the various media on display, setting them amidst an aural backdrop that invites the audience to experience both the art-work and the music in a new way. 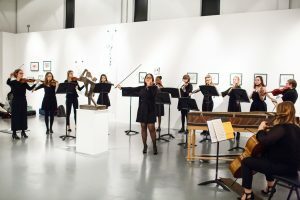 The ten players will perform in the evening concert in the gallery followed by a reception and a tour of the exhibition; the group then travels to Scarborough Citadel on the Saturday to play as part of the closing Gala Concert of the Chinese Artists of the Society of Toronto, alongside the CAST Philomusica Orchestra and soloists. 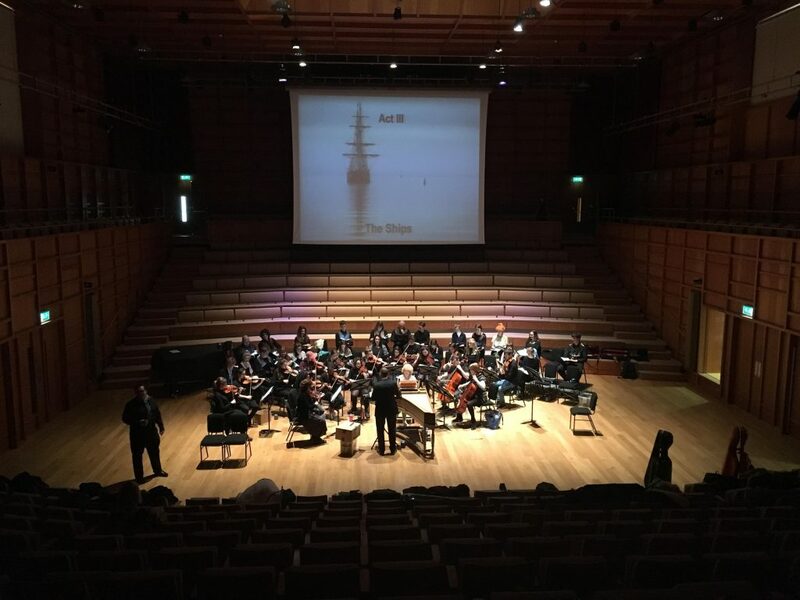 The String Sinfonia is part of the vibrant extra-curricular musical life of the University of Kent, and brings together students from a range of degree programmes including Law, Psychology, Mathematics, Politics and International Relations and Economics to rehearse and perform throughout the year. 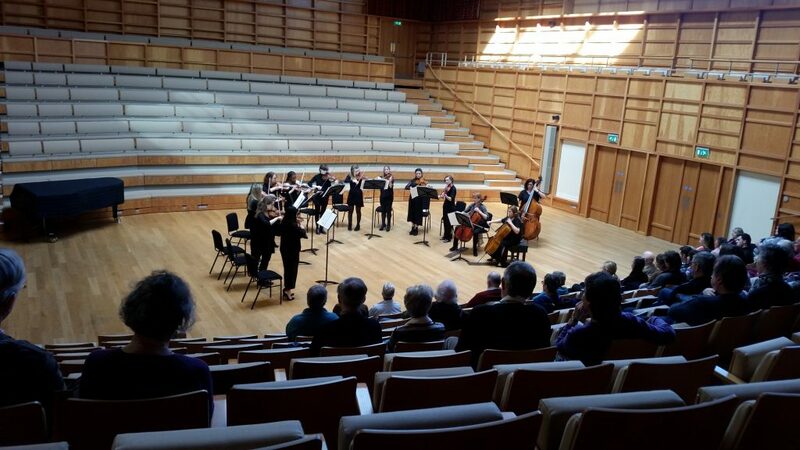 The ensemble regularly performs in Colyer-Fergusson Hall, in Studio 3 Gallery and in concerts off-campus. 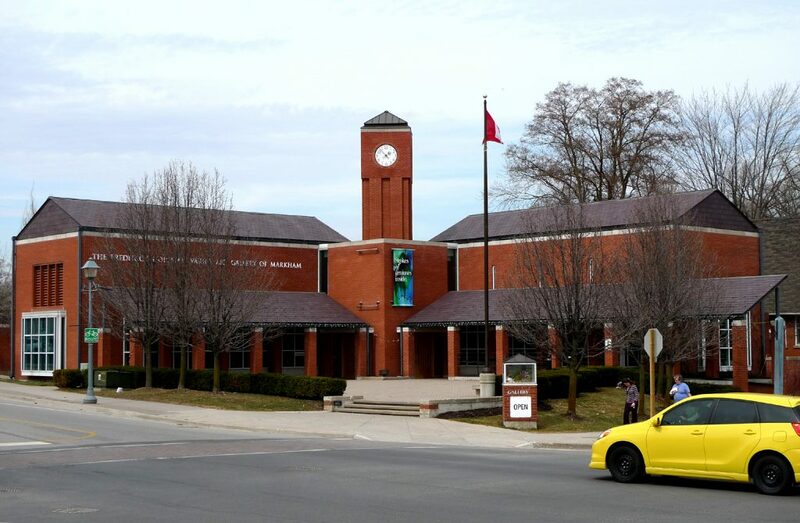 The Varley Art Gallery opened in 1997, and welcomes around 45,000 visitors annually, a preeminent cultural institution reaching audiences both nationally and internationally. 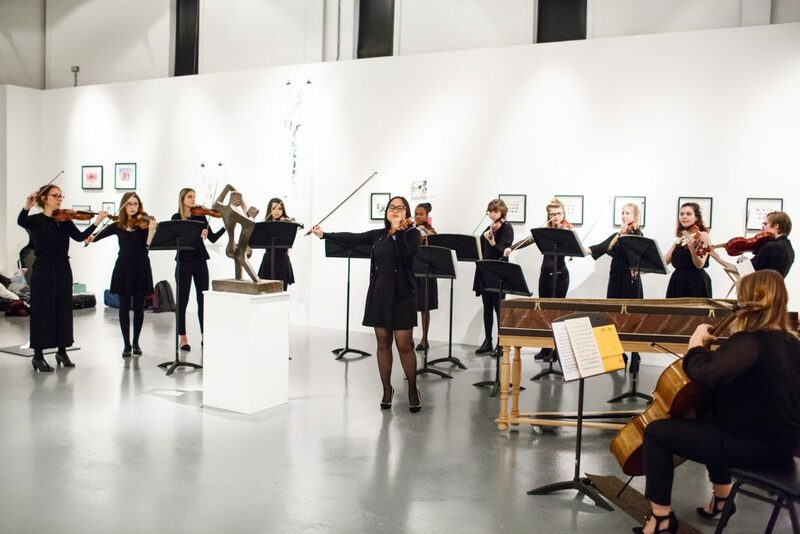 This is the first time that the University Music department will travel to perform in Canada, and we’re very much looking forward to beginning our trip with a special event at the gallery. 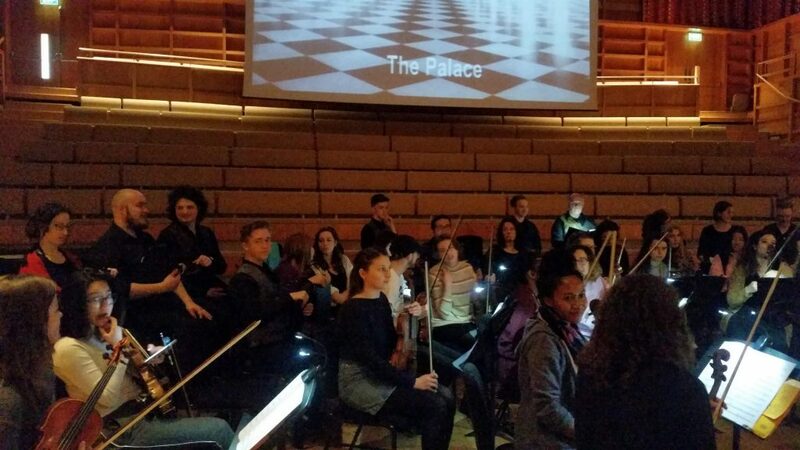 We are also very grateful to the gallery’s Public Programs Coordinator, Rachel D’Oliveira Fell, for the invitation to perform. 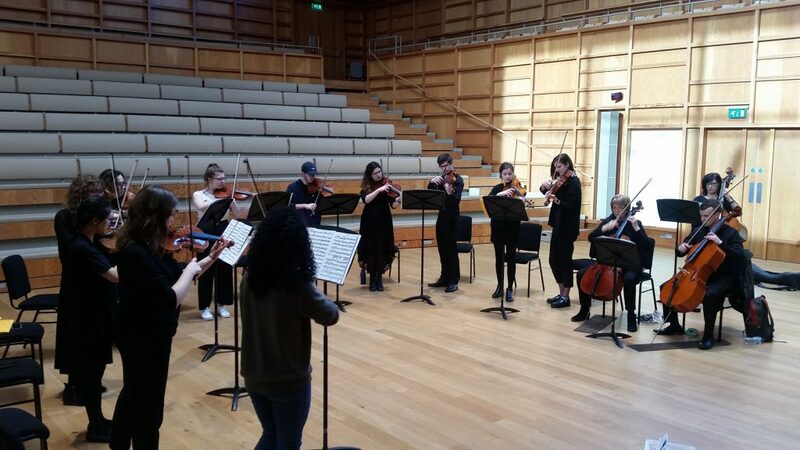 Find out more about the Classical Connections event online here – and if you’re in the area, book yourself a ticket! 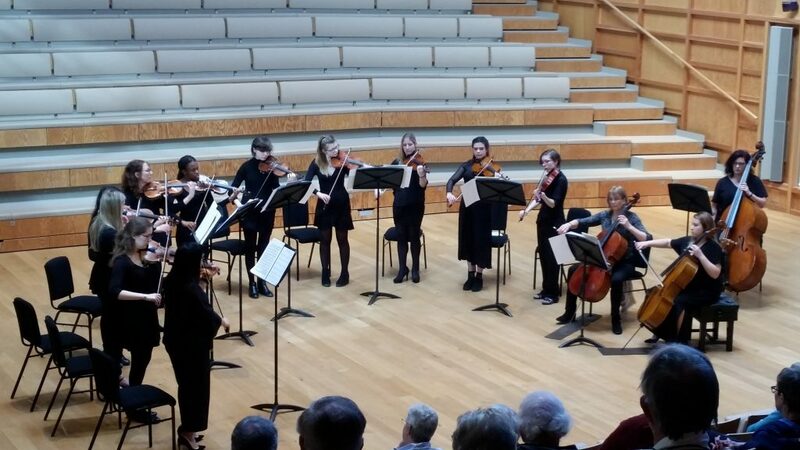 Congratulations to all the performers in the University String Sinfonia on a lunchtime concert today, delivered with fierce energy and some ravishing colours. 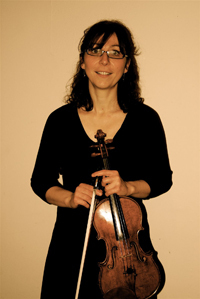 Directed from the violin by Floriane Peycelon, the programme included ebullient dance-rhythms in Warlock’s Capriol Suite, movements from Parry’s An English Suite redolent of the English countryside, and Holst’s St Paul’s Suite, concluding with John Williams’ depiction of Dartmoor before the FIrst World War in an excerpt from War Horse. 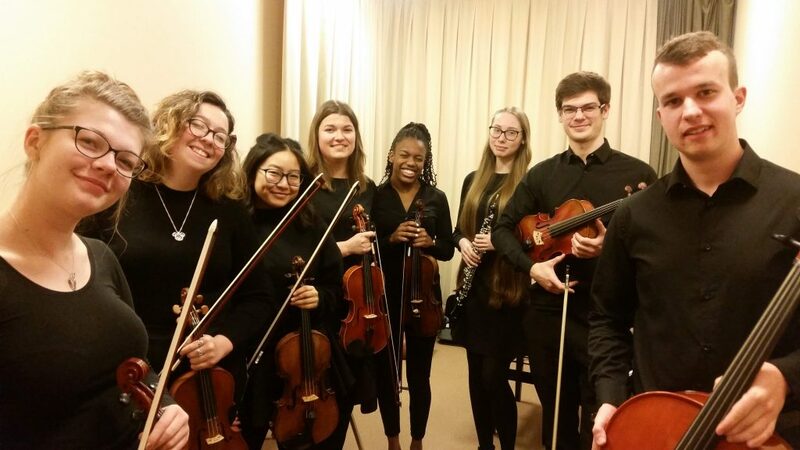 The players are back in action next week, when they team up with the University Cecilian Choir in Ola Gjeilo’s popular Sunrise Mass; details here.